How you feel about yourself is closely linked to how satisfied you are about your looks. Doesn’t that make sense? When you wish that your appearance were different, you open yourself to self-doubt. You may even doubt other aspects of your life. We call it the “gap of self-doubt” – a widening chasm between what you want to be and where you believe you are. If you too long like this, the gap can erode your self-esteem, confidence, and self-image. You may even doubt your ability to maintain your personal and professional life. You might even begin to believe that you simply don’t fit in any more. We can help you close and heal the gap of self-doubt. And you’ll be surprised to learn how easy it is and how much benefit is earned from one simple decision. Let us show you how cosmetic surgery can make the changes you want on the outside, to restore your self-confidence to succeed both personally and professionally. A little change on the outside can make a big change on the inside. It may be breasts that are underdeveloped, a nose that’s too large or wrinkles that make you look older than you feel. Whatever the reason, our cosmetic surgeons are here to correct problems, restore a youthful image, and bring back visual vitality to your being. Ronald Moser M.D. is the surgical director for AesthetiCare Cosmetic Surgery Institute based in Southern California. He has been in practice for nearly 30 years and has performed more than 16,000 surgical procedures. Breast Augmentation is a cosmetic surgery procedure to increase the size and shape of a woman's breasts. You are a candidate for this procedure if you have small underdeveloped breasts, if your breasts have atrophied after pregnancy, or if your breasts are different sizes. Cosmetic breast revision surgery is one of those specialties that requires years of experience for a surgeon to do a good job. We have seen and treated enough patients to gather the experience to be able to address most all of the problems one may see in a lifetime of surgical practice. I have never done any cosmetic surgery before and I was nervous. Almost 2 months after the surgery feeling great with my breast implants. So far I am happy with the results. All the staff are wonderful at AesthetiCare. I would recommend AesthetiCare to my friends and family. I had an amazing experience with everyone at AesthetiCare. The Knowledgeable Staff and care that come from everyone put me immediately at ease. Upon meeting Dr. Kane I knew I’d picked the right facility for my surgical needs. My breasts look 150 times better immediately after my breast lift. I was very pleased with the way I was treated. Dr. Kane shows a lot of professionalism.  He is a great plastic surgeon who shows a lot of concern for the well being of his patients. I was also delighted with the friendliness of all the staff at Aestheticare. I felt very well taken care of!! I highly recommend Aestheticare! Time To Get Your Breast Implants Checked? Has it been more than 10 years Since Your Breast Augmentation Surgery? © 2016 All rights reserved. Orange County Breast Implants.